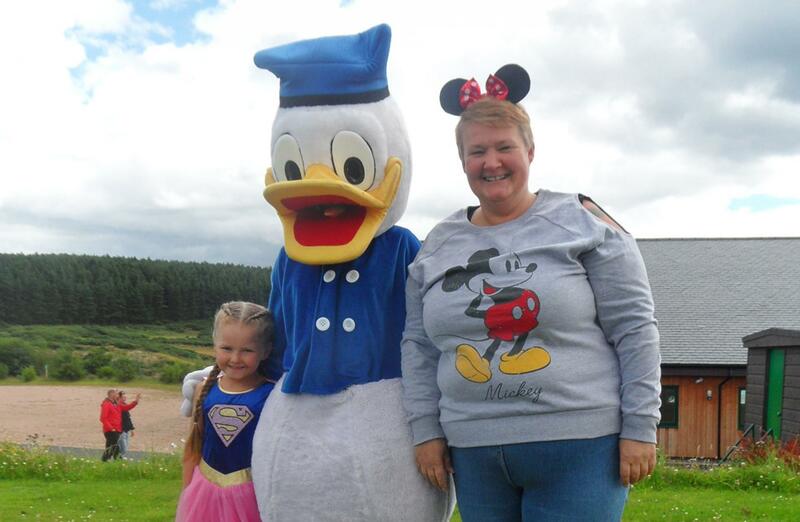 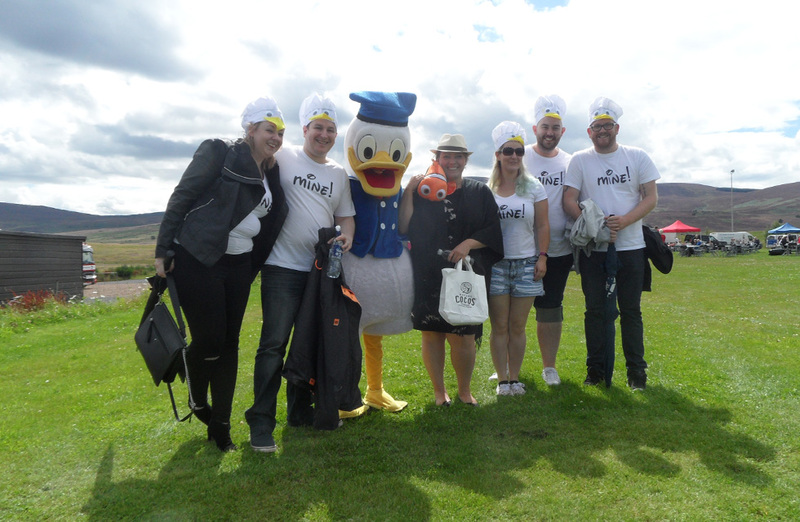 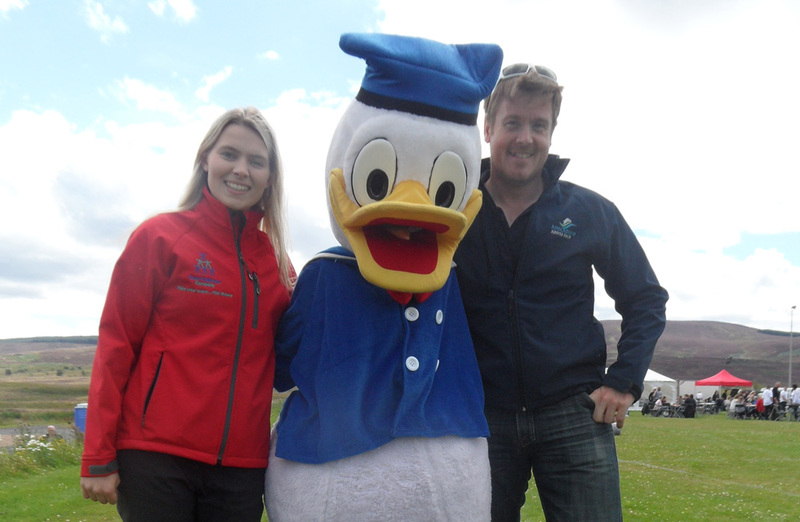 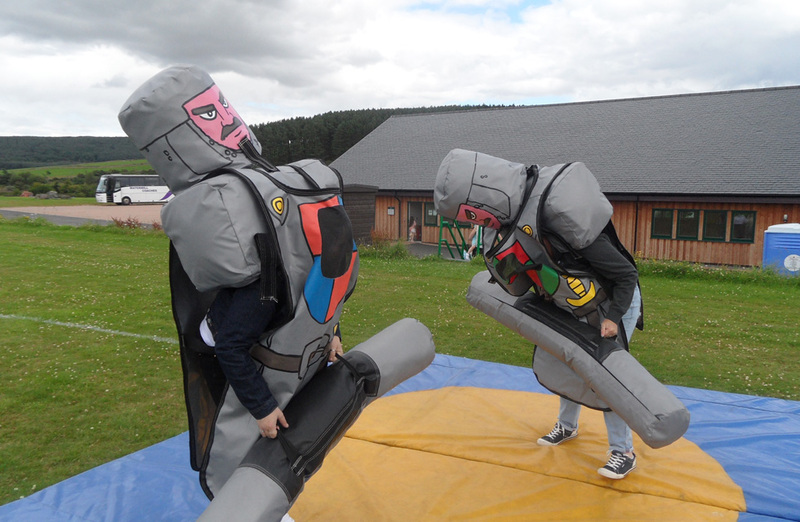 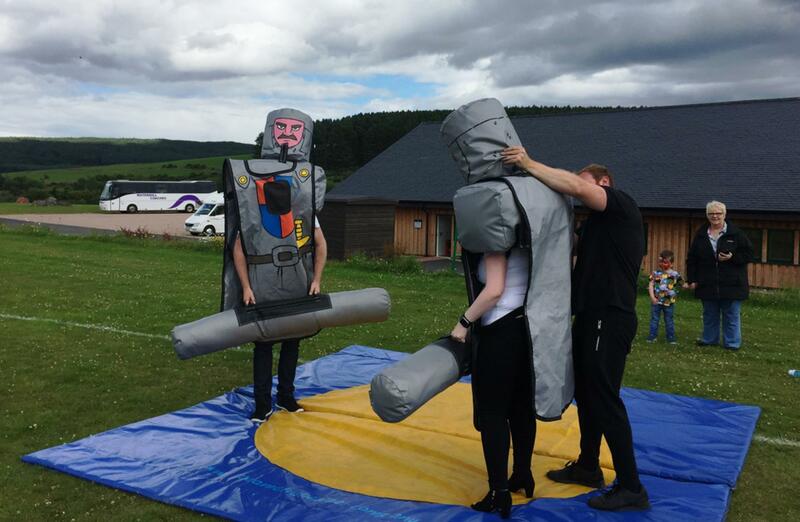 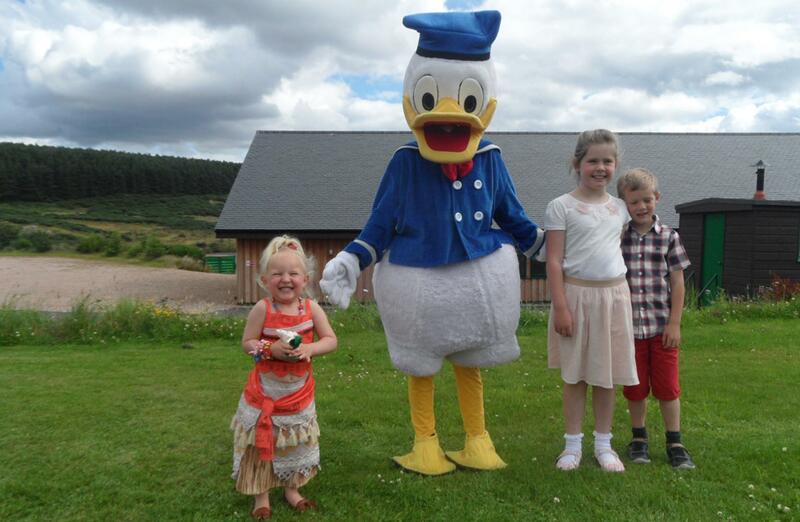 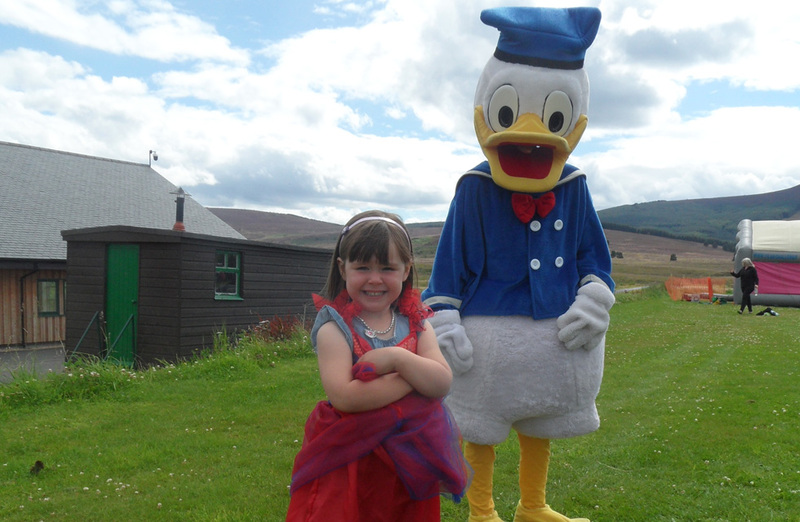 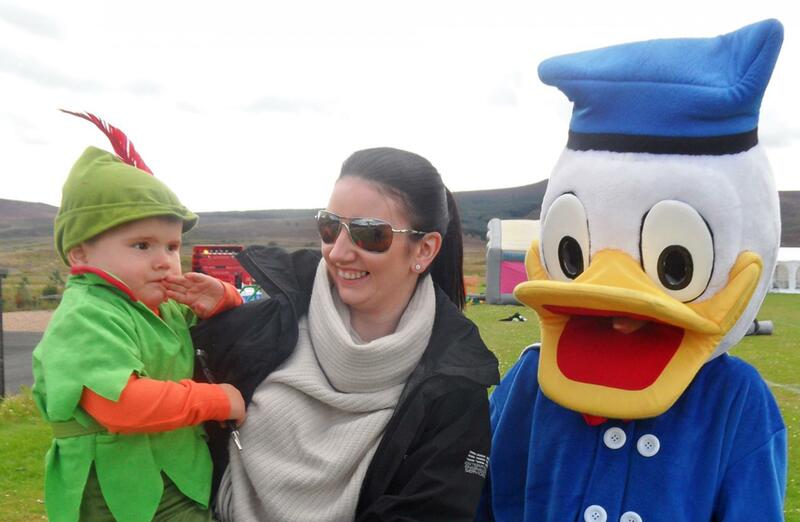 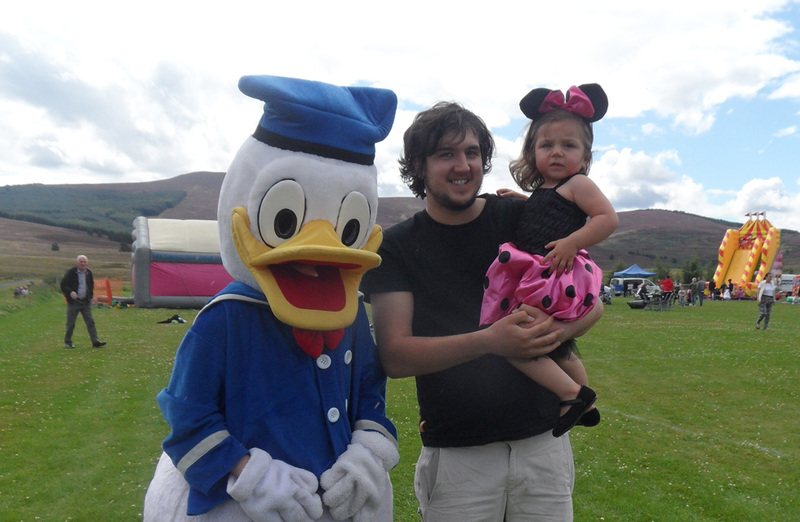 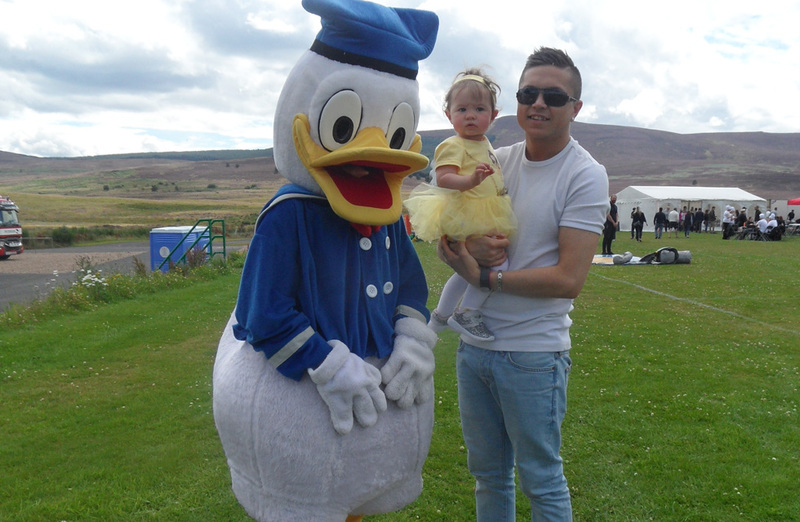 The excited guests from Peterson UK were invited to join Team Challenge Company at the beautiful Knockburn Loch near Strachan, Aberdeenshire for their annual BBQ and this time it was an incredible Disney Themed Fun Day. 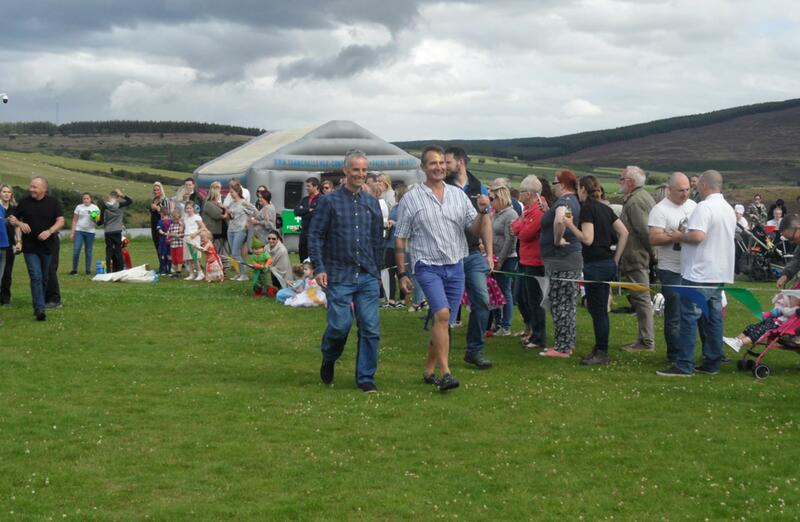 Everyone was in high spirits, ready for a great day of family fun, light hearted competitions and super hospitality. 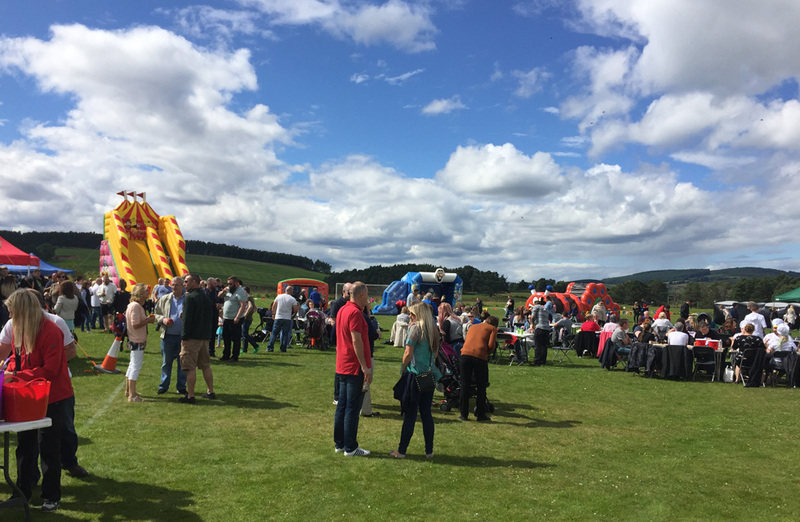 The sun even made a very welcome appearance and stayed long into the evening as the day kicked off in such an inspirational venue. 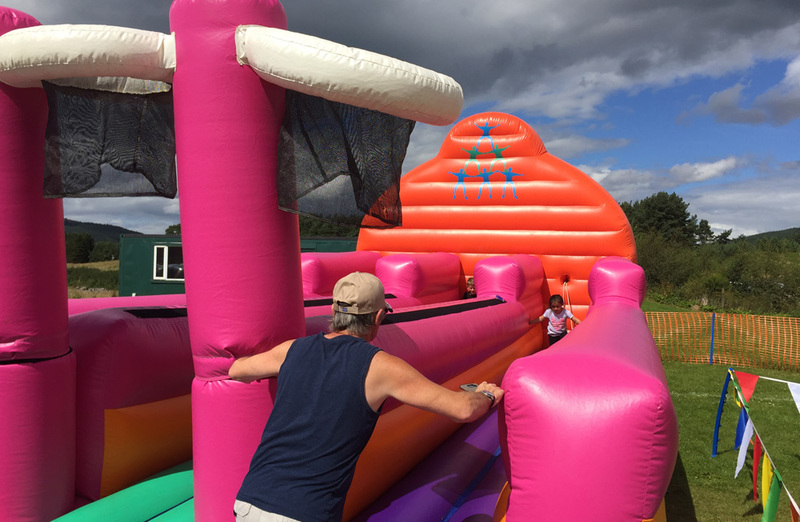 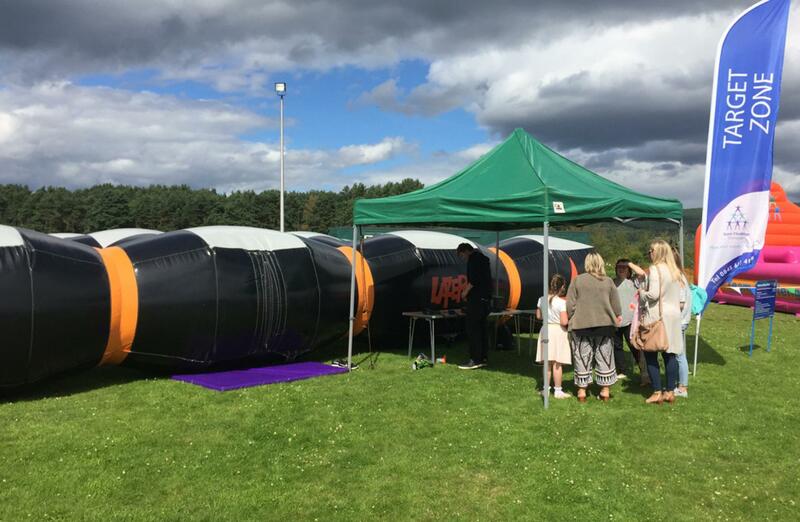 The inflatable fun was as always a huge hit on the day as there were lots of exciting activities for both the little children and big kids alike! 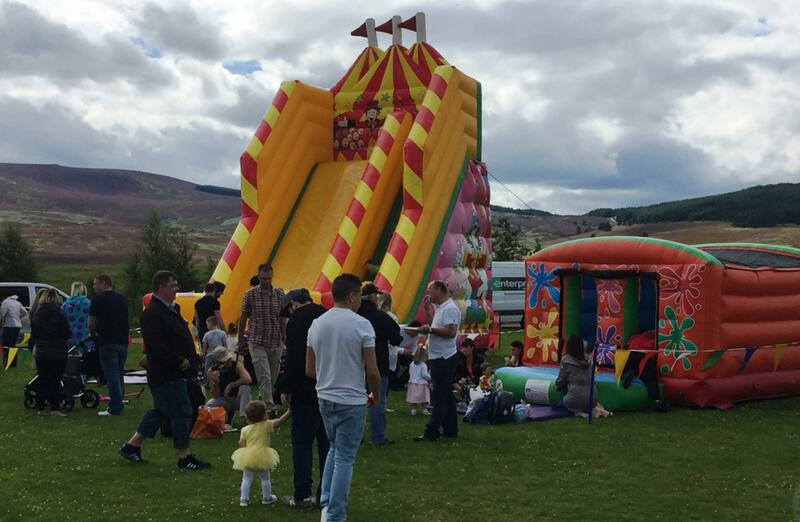 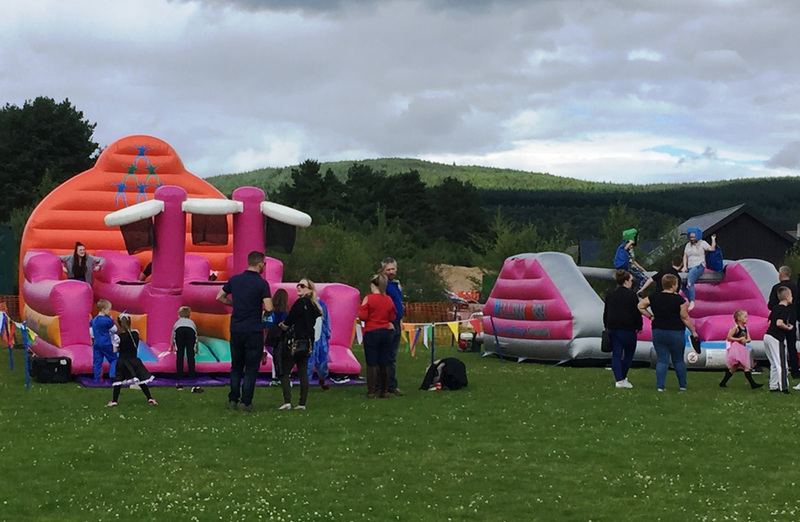 From the old favourites, like the Frozen themed Bouncy Castle, Laser Maze and Bungee Basketball, to some of our brand new additions like the Pillow Bash, Giant Circus Slide and even our Segway Scenic Tours across the beautiful hills at Knockburn. 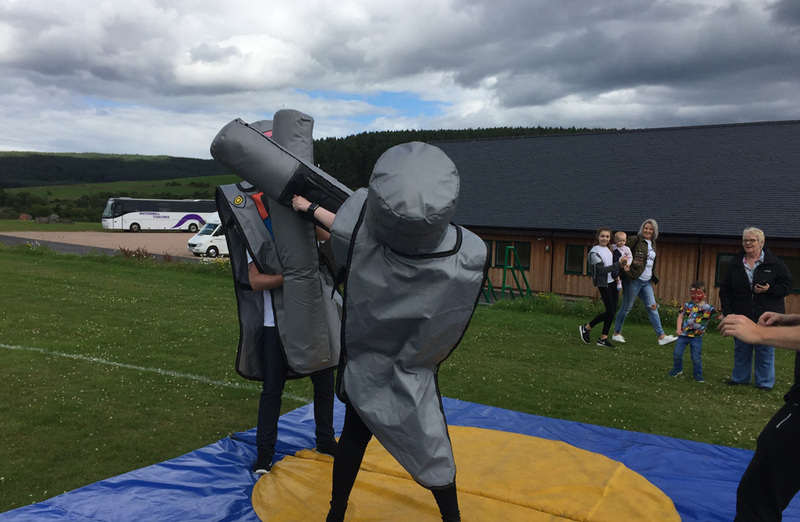 Along with the ever frustrating and challenging Batak and on to our hugely entertaining Knock yer Block off, there was plenty to get involved in. 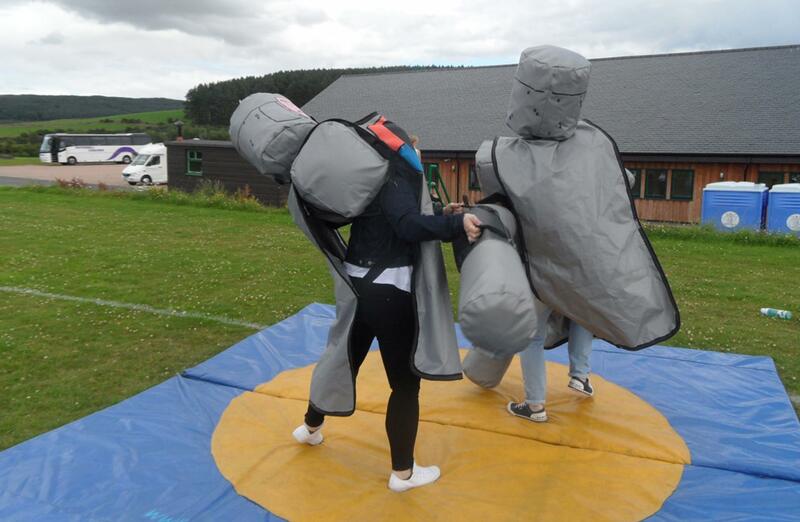 Competition on the Pillow Bash was particularly Fast and Furious – what a really competitive bunch you all are! 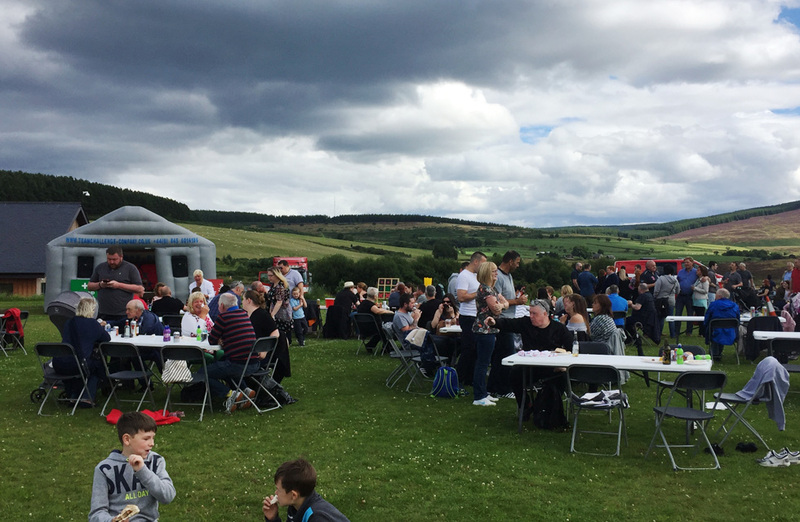 Delicious BBQ food was served throughout the day, which kept the children quiet (if only for a few minutes) while they gulped it down, keen to get back out on the field to enjoy the day. 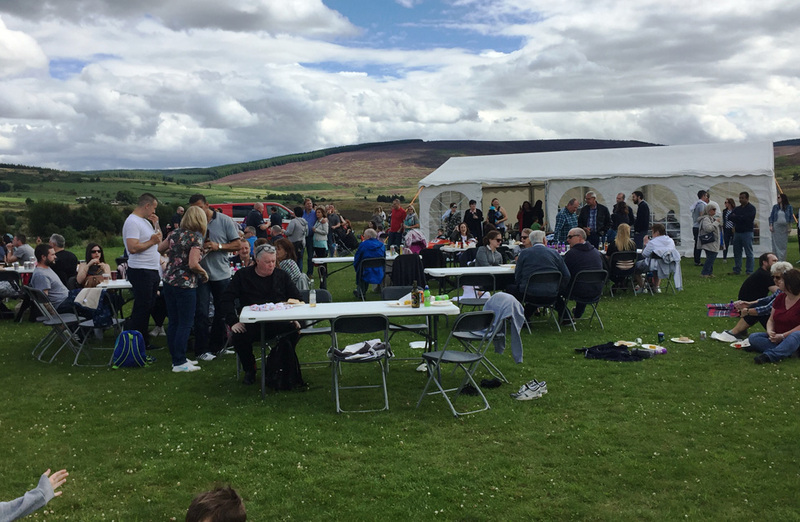 This gave the adults a chance to relax, enjoy a drink or two and enjoy the super scenery and a taste of summer at last at Knockburn Loch! 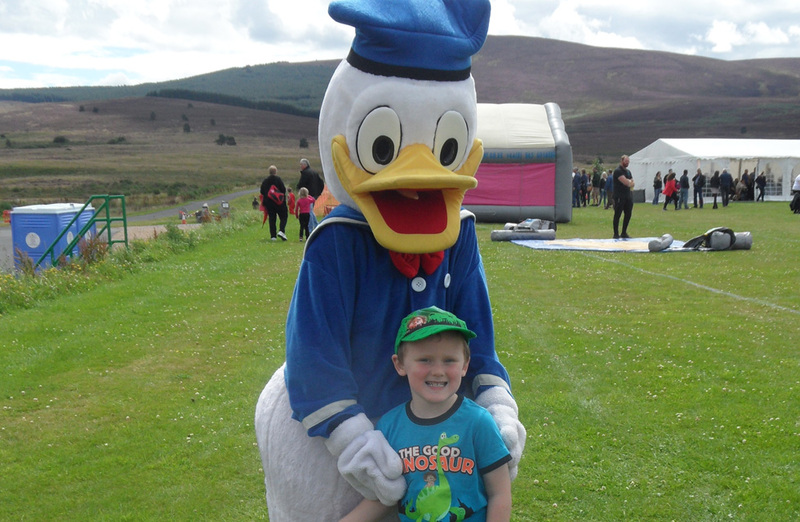 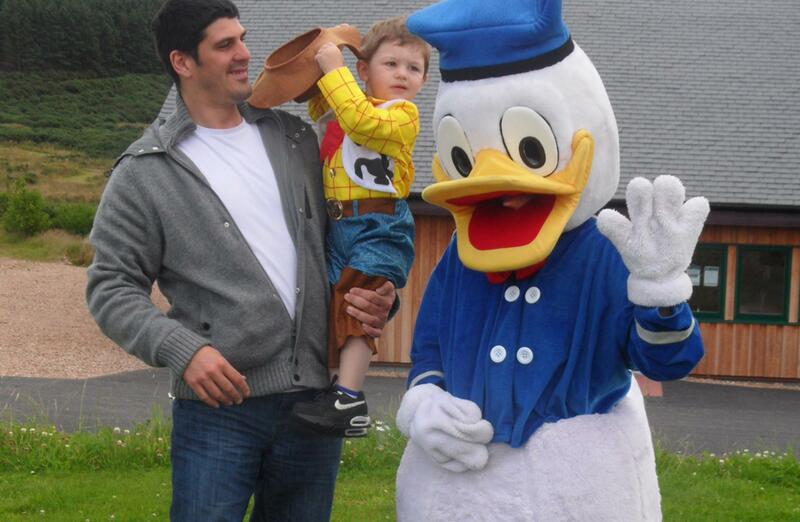 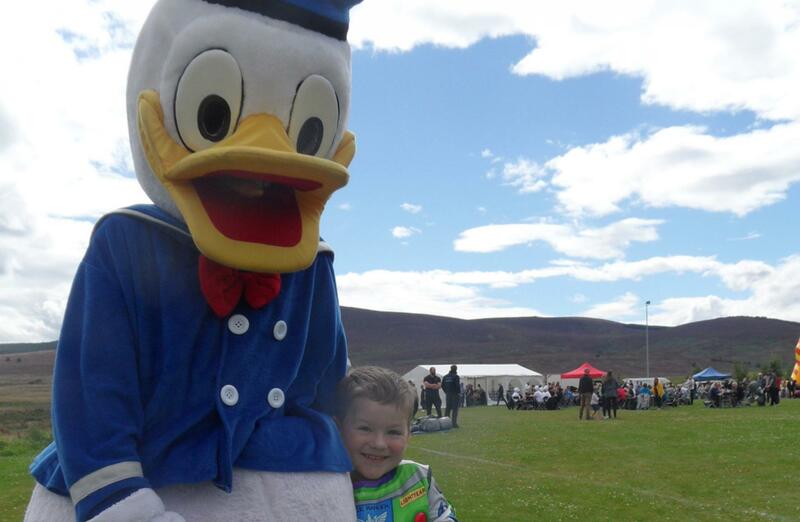 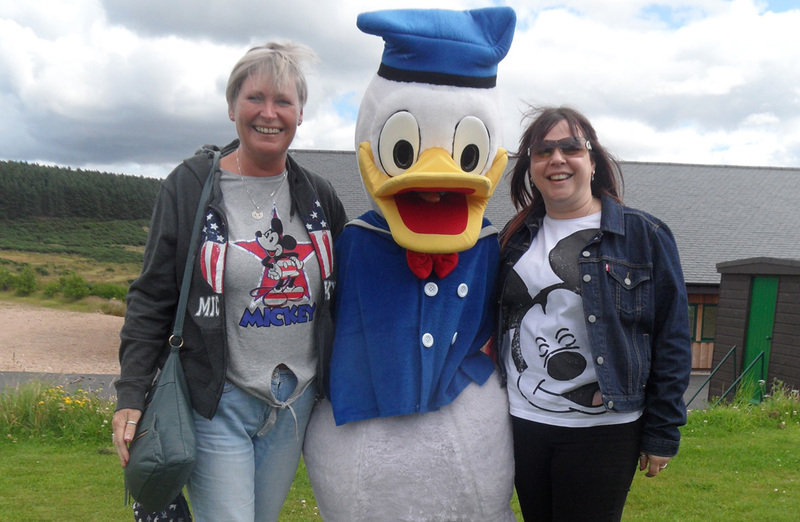 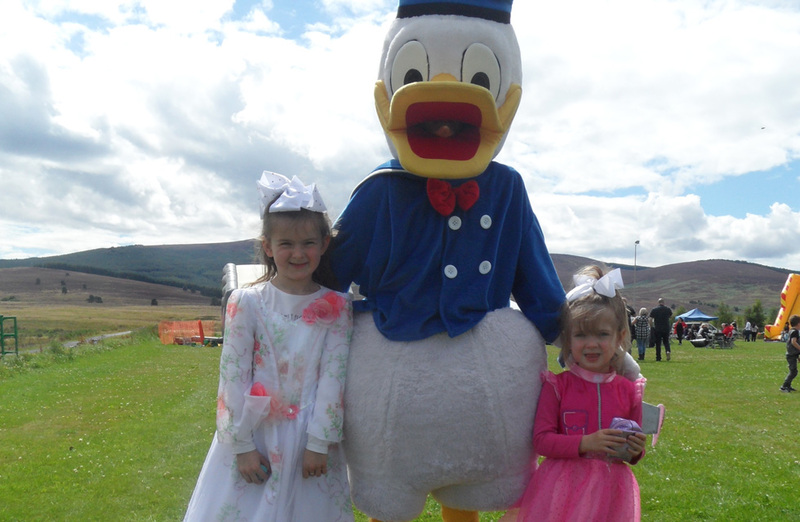 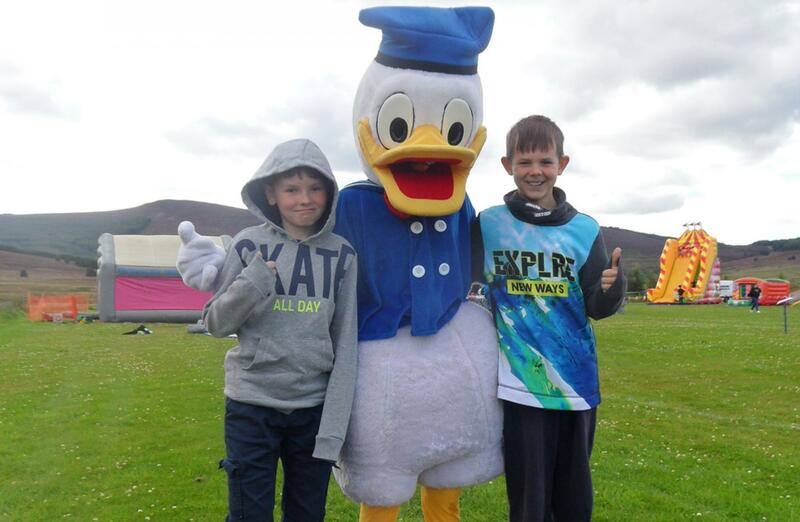 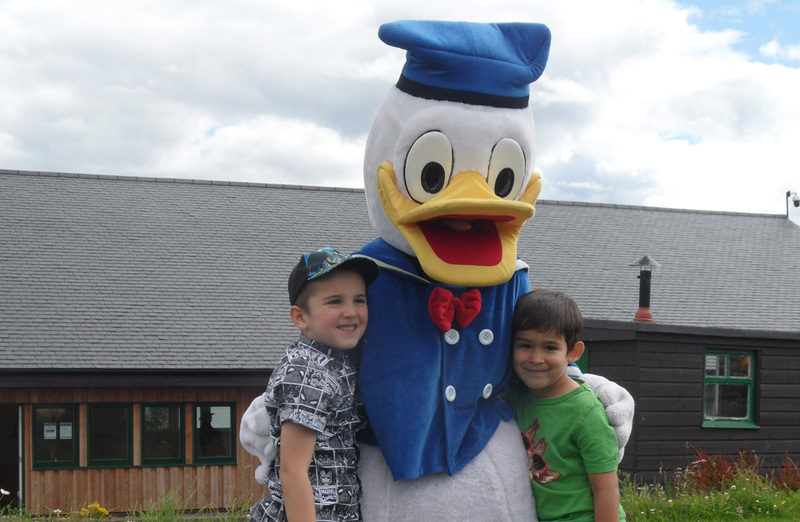 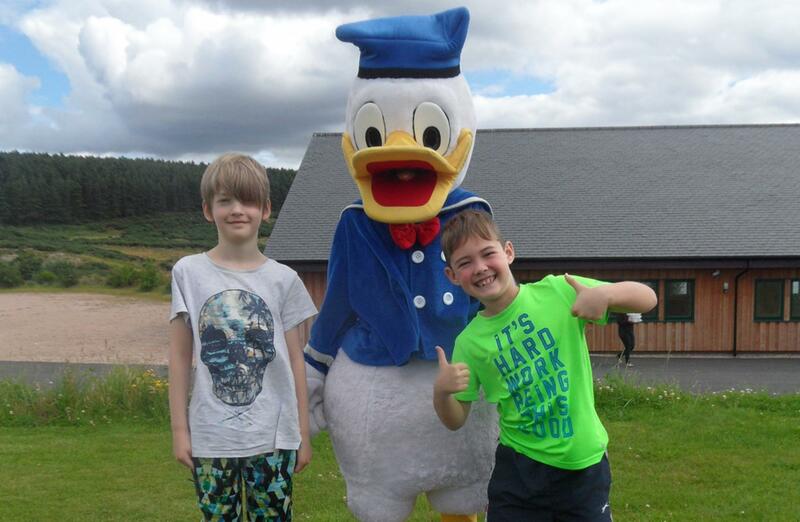 One of the biggest highlights of the day was our extra-special Disney guest, Donald Duck, as he paraded around the site waving at everyone, even getting Donald selfies for all the boys and girls. 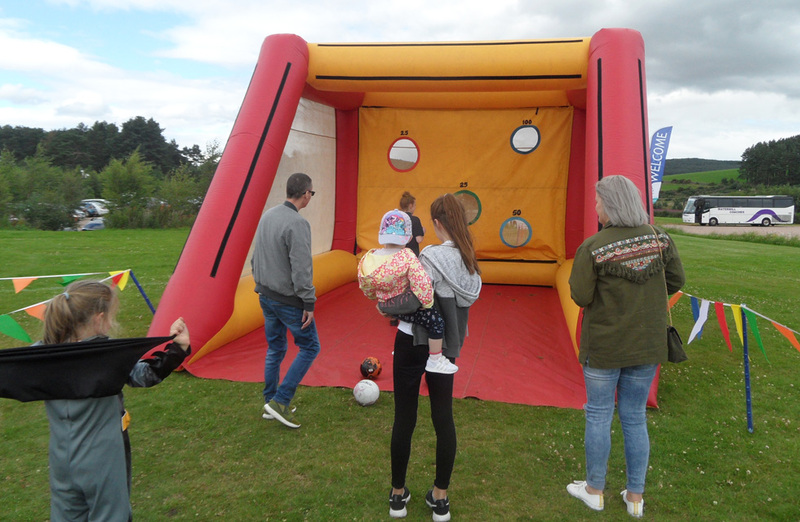 While the Face Painting gazebo was a must visit attraction for both the children and adults, keeping the team busy all day! 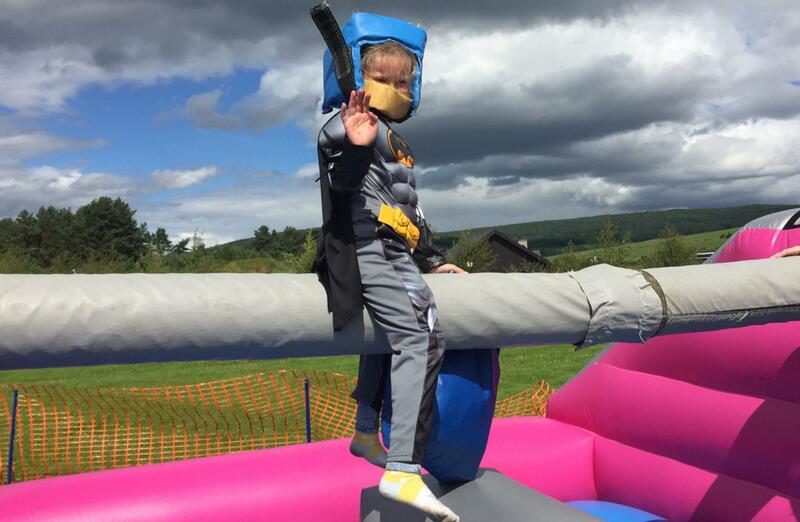 There were plenty of Pirates of the Caribbean, Disney Princesses, Batman (we know that’s not officially Disney but we’re not going to fight with Batman are we?!) 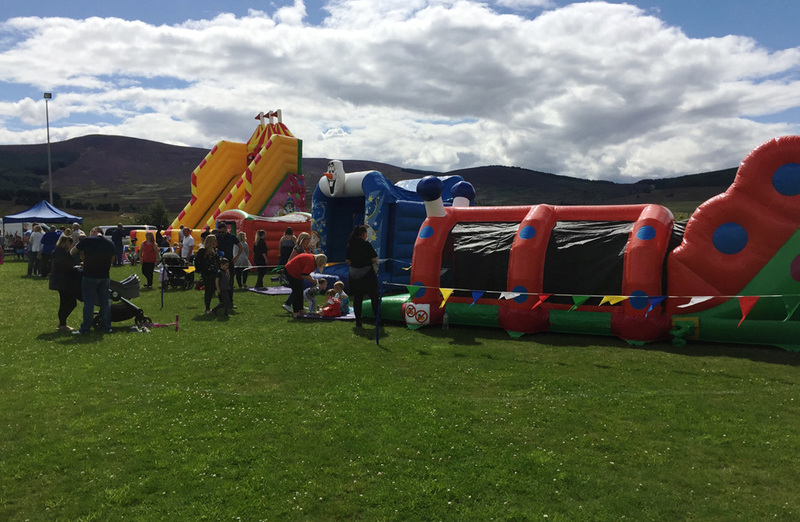 and Spiderman requests, but our expert face painters were kept on their toes by many scary lions and tigers throughout the day too! 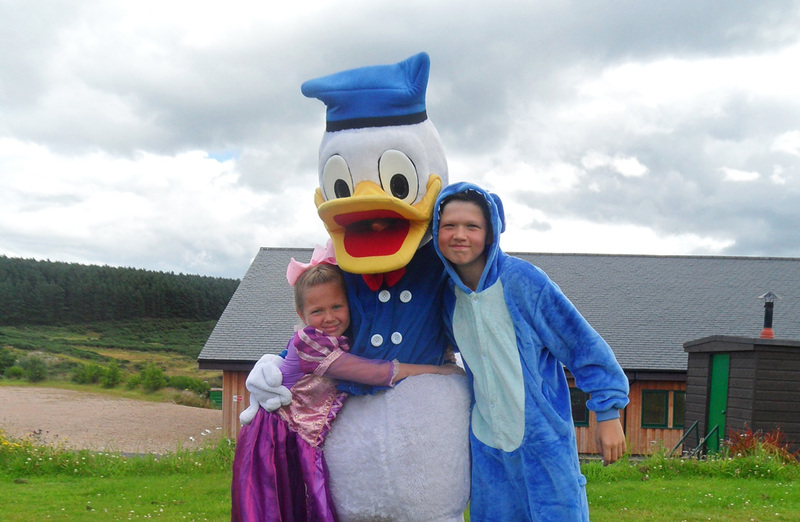 Elsewhere, it was time to kick off with one of the most exciting parts of our fun day - the fancy dress parade! 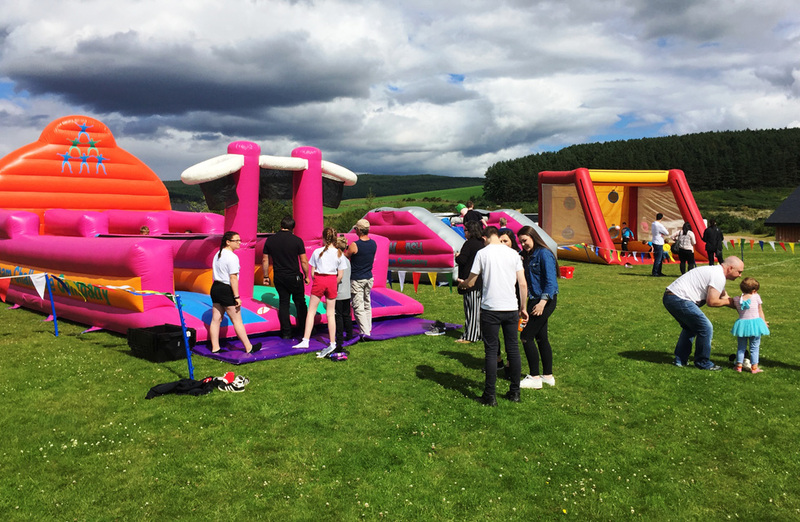 All the boys and girls, and even the adults had put in so much effort to be part of all that is Disney and more – Scooby Doo is always welcome to any party! 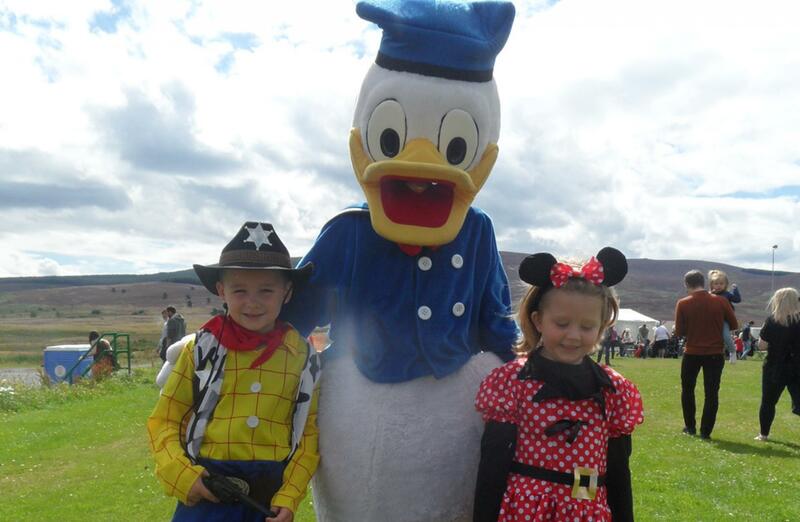 Some great looking costumes were shown off and prizes given out to the most spectacular costumes of the bunch! 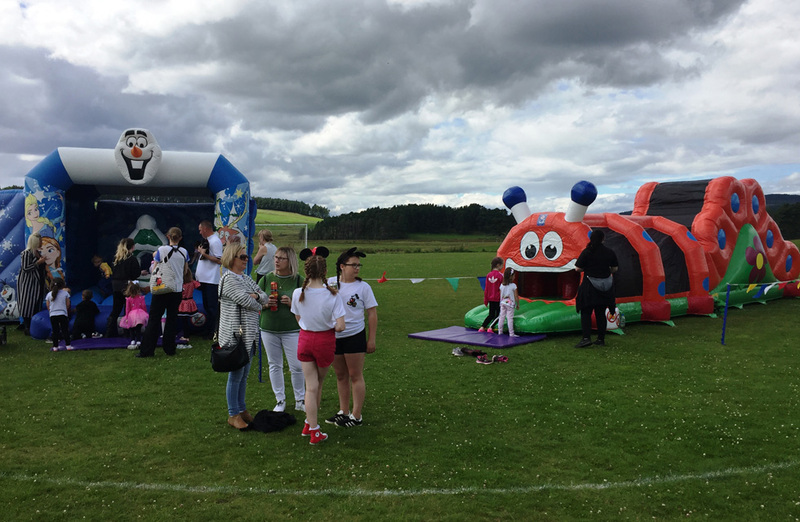 All the guests had a great time as they danced and partied their way around the parade grounds – just look at all those happy smiling faces! 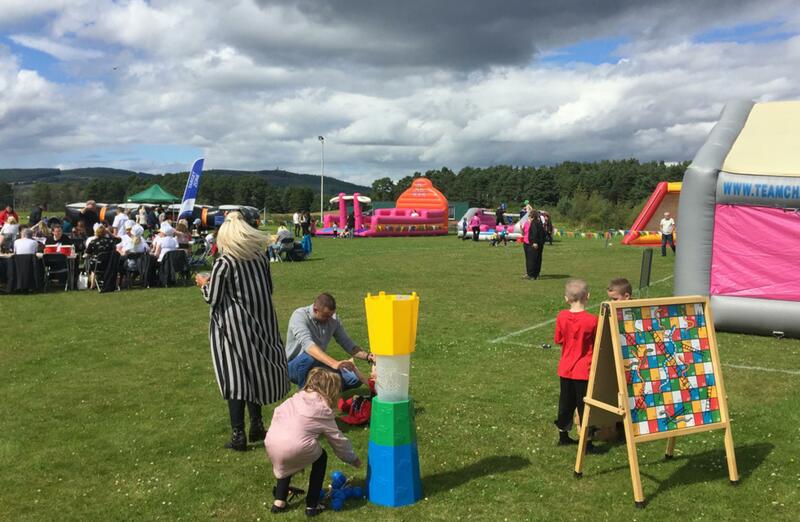 Next up for a bit of fun was the boys and girls races and contests and with the London athletics world championships for inspiration, there were a lot of wannabe Usain Bolt's and Mo Farahs at the starting line ready to win some yummy sweets. 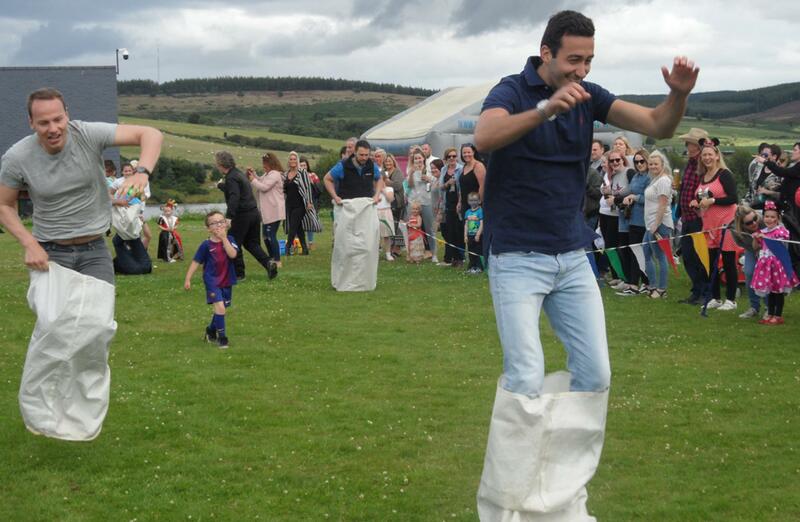 Then the adults stepped up and gave us all a day to remember with their super speedy skills (mostly! 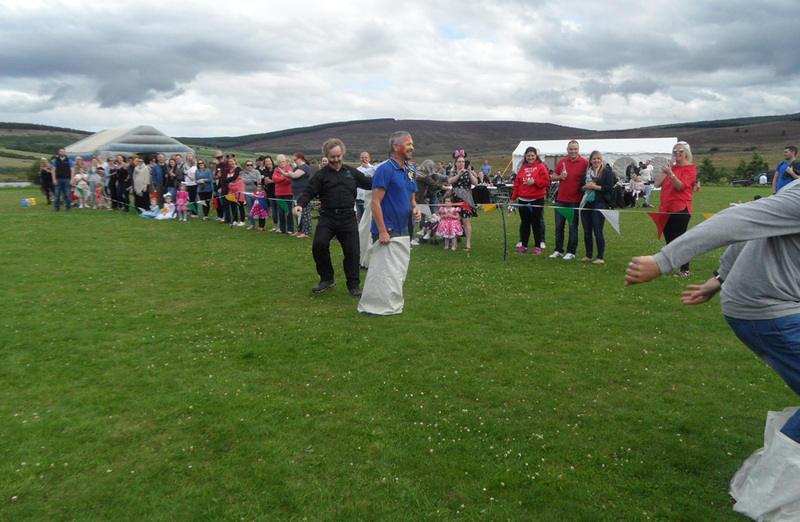 ), impressing our spectators for all the right reasons ... anything for the sweeties - just look at those photographs! 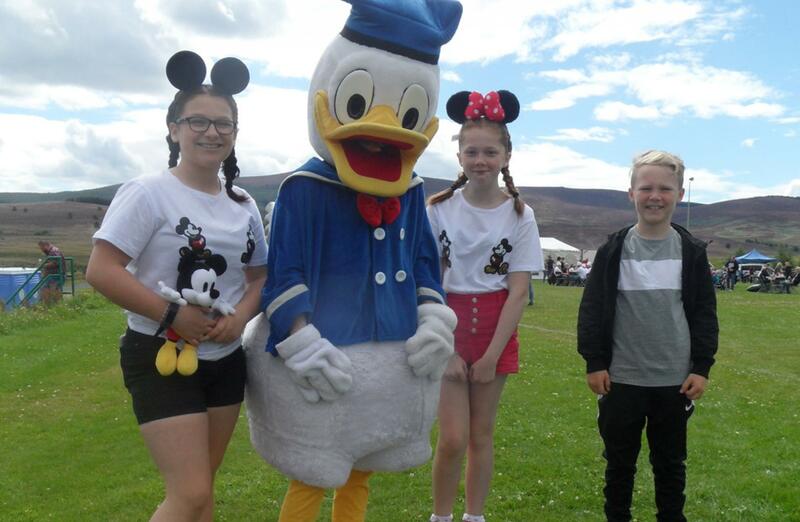 A huge thank you and shout out has to go to Mary and her committee team for organising such a brilliant Disney Family Fun Day for Peterson UK. 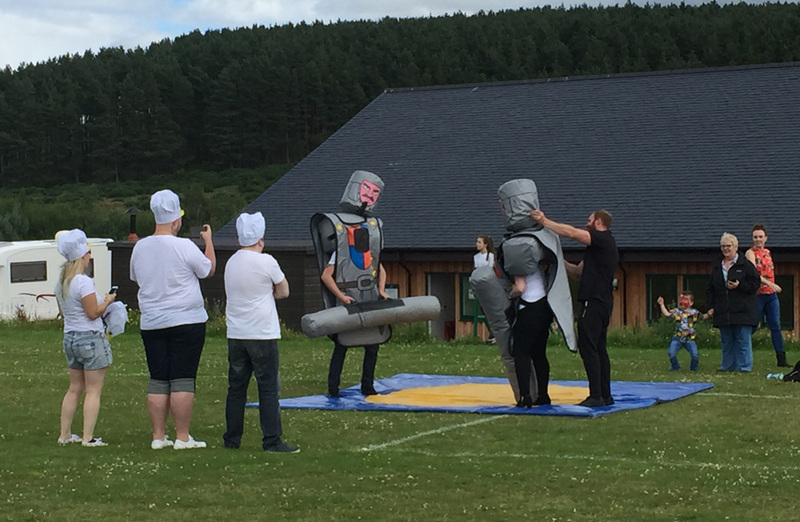 It was a pleasure to work with you, and all of our team at Team Challenge Company very much look forward to working with you and your team again in the near future – what’s our next theme?! Excellent Disney themed afternoon for the team at Peterson! Great effort from everyone on the fancy dress - can't wait to see what theme we decide for 2018. 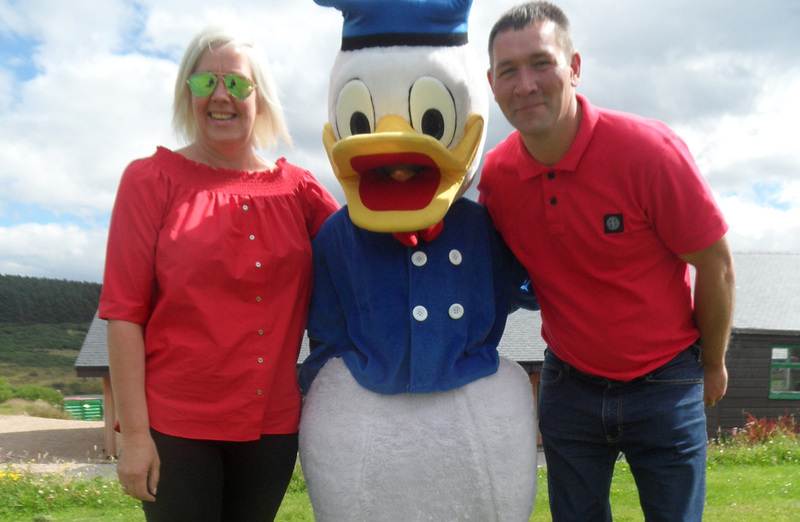 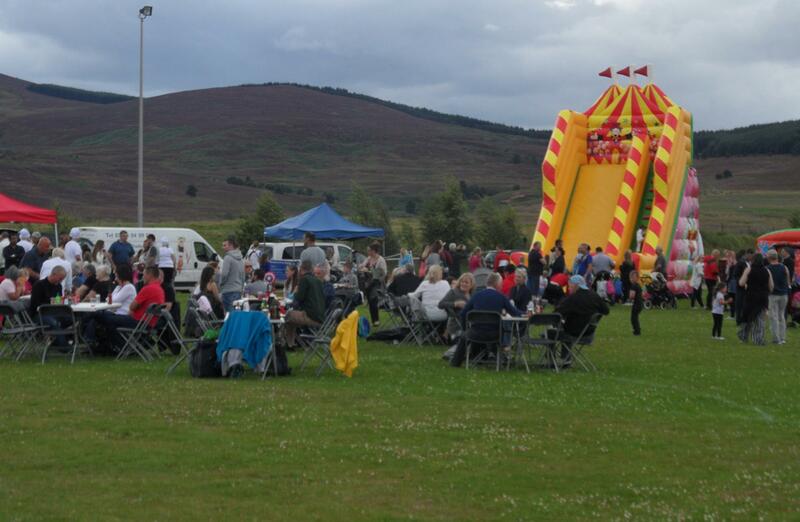 Was our pleasure to host Peterson's corporate family day here at Knockburn Sports Loch. 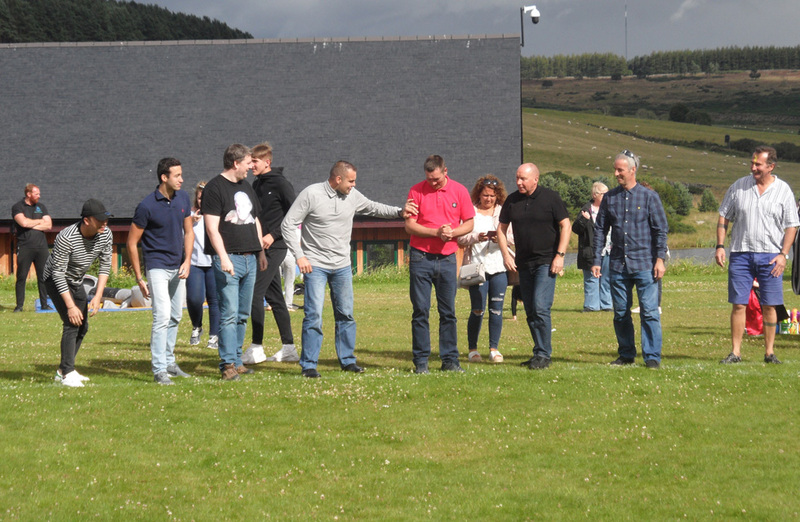 Always good to work with Stephen and his team from Team Challenge Company, we love seeing people making the most of our unique purpose built facilities and enjoying the surroundings. Some great Disney outfits, very impressed. 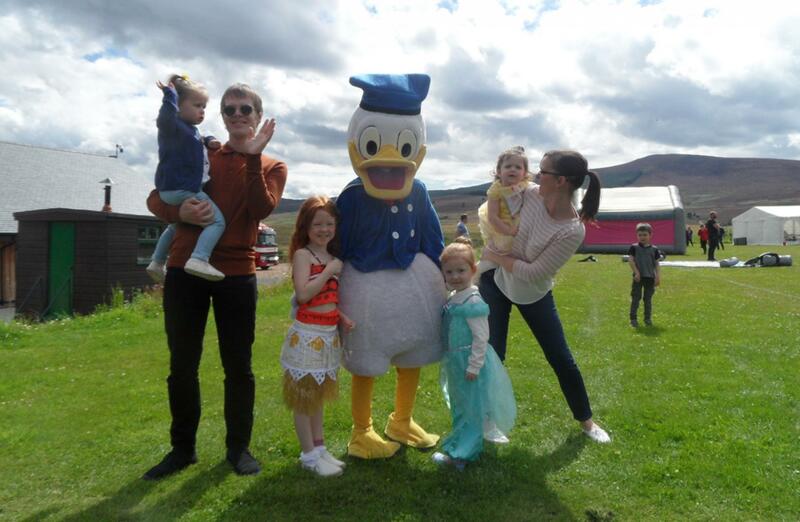 Hopefully see you all again in 2018.